Amazon has some of the best prices on the internet for “boo boo kits,” which contain first aid items like bandaids, eye wash, burn cream, antibiotic oinment, NSAIDs, medical tape, and the like. 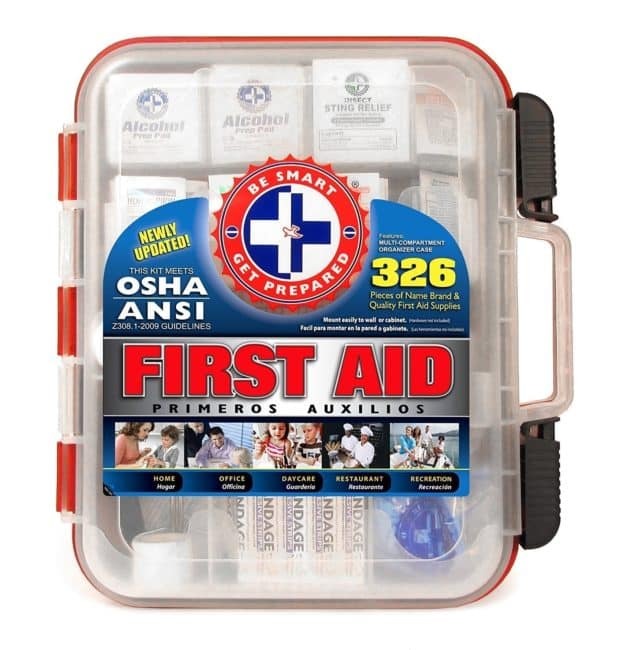 These are not intended to treat major trauma, but they are the kinds of kits you’ll appreciate having for the inevitable cuts and scrapes, headaches, and blisters that inconvenience you. Amazon’s #1 best selling kit is filled with items not normally found in boo boo kits, yet is usually available for less than $13. 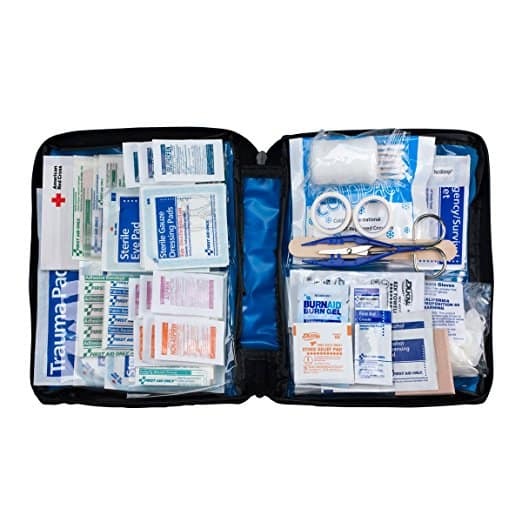 The first aid kit contains adhesive bandages, butterfly closures, gauze rolls and pads, finger splints, tape, exam gloves, instant cold compress, thermometer, scissors, tweezers, pain relievers, alcohol wipes, antiseptic towelettes, antibiotic ointments, burn cream and insect sting relief. This kit exceed OSHA and ANSI guidelines for 100 people and is designed for office, school, campground, cabin, and sports use. 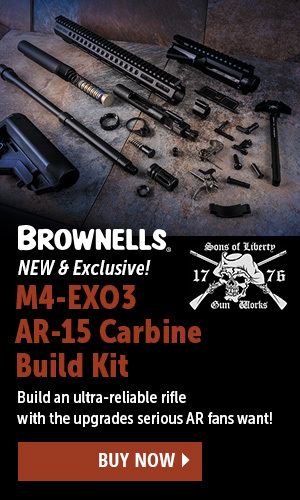 It’s also a great kit for a family, especially the house where all the neighborhood kids tend to end up. All items are organized with rigid interior dividers for quick access. Hard case with carry handle has built-in wall mounts. 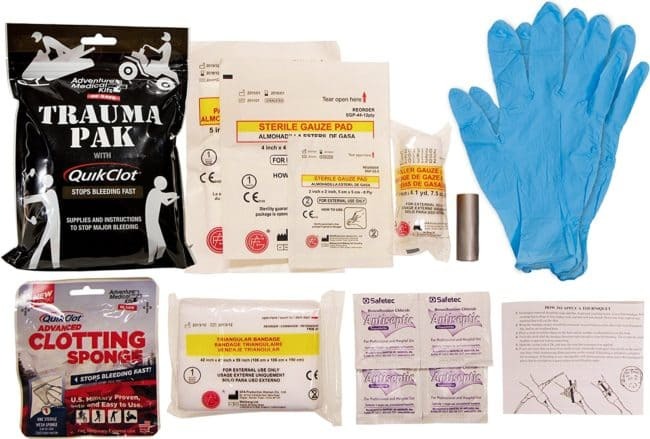 Not for boo boos, this kit can usually be added to most first aid kits so the trained responder has the gear needed to control severe bleeding until more advanced care arrives. 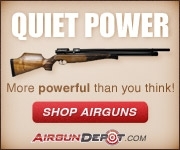 Includes QuikClot wound packing, QuikClot clotting sponge, gauze pads, triangular bandage, duct tape, and exam gloves.